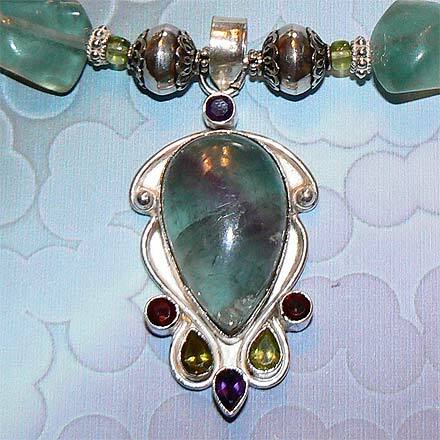 Sterling Silver Fluorite, Peridot, Garnet and Amethyst Necklace. See Closeup. 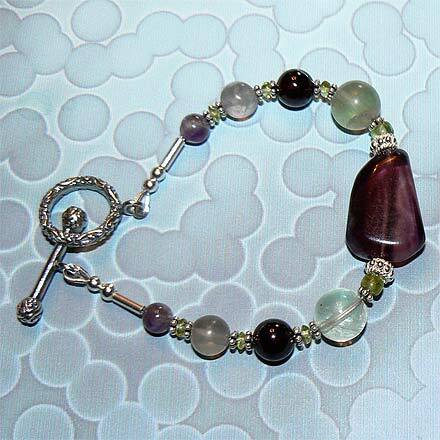 Sterling Silver Fluorite, Peridot, Garnet and Amethyst Bracelet. 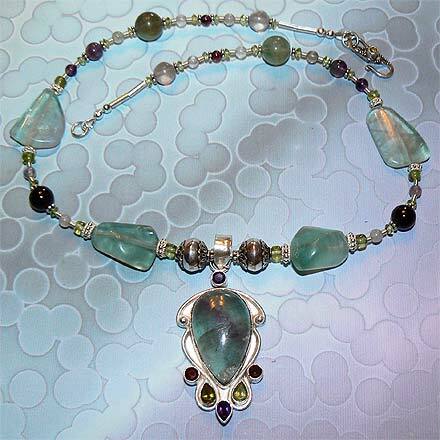 The chunky Fluorite contained in this jewelry set reminds me of sea glass, but it's not...it's Fluorite. Peridot, Garnet and Amethyst also embellish and add interesting color contrast. Necklace comes with a Peridot Clasp.